October | 2017 | Home: Free Sociology! I’ve been to Toronto, London, St. John’s, Halifax, New Brunswick, Cape Breton, Saskatchewan, Winnipeg, Yellowknife, Calgary, and Montreal. 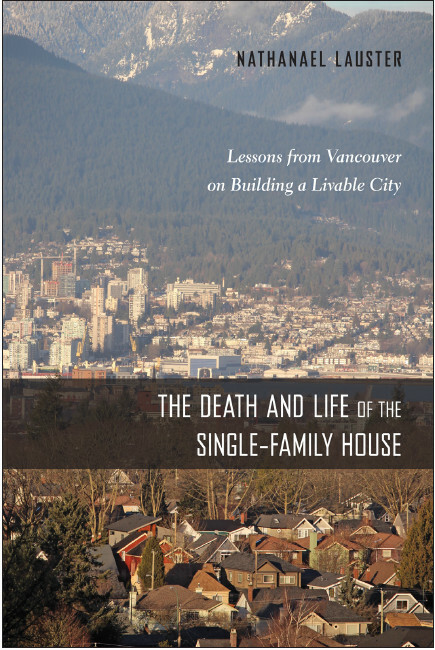 I gave a couple of interviews in Vancouver too, but here people just want to talk to me about housing! Immigrants to Canada are increasingly by-passing the big gateway cities (Toronto, Vancouver, and Montreal) and distributing themselves more broadly – especially into the Prairie provinces. Calgary, for instance, now well surpasses Montreal in terms of the proportion of its population foreign-born (29%)! Big Canadian cities continue to get more diverse. Most big Canadian metros now approach one quarter of their population made up of immigrants, with Toronto and Vancouver closing in on half (46% & 41%). Toronto continues to serve as the main gateway to the world, with Vancouver as a secondary gateway to the Pacific Rim and Montreal as a special gateway with a decidedly French password. Unfortunately, I really didn’t get a lot of time to play around with immigration data on my own before talking to everyone about the Statistics Canada reports. This is always a little bit worrying: what if I missed something in my coverage? Finally, two days later, I’m checking my work a bit. Mostly it seems to hold up! Here’s a simplified distribution of Canada’s new immigrants (arriving 2011-2016) according to birthplace from our last census compared to the distribution of the population of the world (2017 data from the Population Reference Bureau). Why are so few Eastern and Southern Asians coming to Canada relative to their proportions in the world as a whole? From the perspective of Vancouver, of course, that seems like a decidedly weird question. Different cities get different mixes of immigrants in Canada, and Vancouver remains the Gateway to the Pacific Rim. Let’s look at the city breakdown. No surprise: the distribution of immigrants into Vancouver is decidedly Asian – and especially East Asian. Toronto’s newcomers also look quite Asian in origin, but more South Asian than East Asian, and Toronto remains more diverse overall. Still, it seems the African, European and American immigration streams remain a little squished in Toronto relative to the world’s population as a whole. Not so in Montreal! There streams are dominated by arrivals from the Americas, Africa, and Europe in proportions exceeding the world population. Thanks for balancing us out, Montreal! I added Calgary to the mix too, and Calgary really demonstrates how Southeast Asians (again, especially Filipinos) are really filling out Canada’s labor needs as fast the opportunities arise to do so. Otherwise Calgary, like Toronto, looks pretty darn diverse! Most recent immigrants are still arriving through the big Gateway cities of Toronto, Vancouver, and Montreal. But these metros are no longer dominating migration quite as much as they used to, and where groups go really varies by their region of origin. Some groups, like immigrants arriving from Southeast Asia, are mostly avoiding the big Gateway cities, heading instead to Calgary and other places actively attempting to recruit them via new and improved provincial migration programs. And with that, I bid our new immigrants welcome! And I offer up the full version of that Johnny Cash song. Just who lives in all of these million-dollar and above properties concentrated in Metro Vancouver? I don’t yet have the micro-data for 2016 that would allow a deep investigation. But 2011? That I can do! Here I’m playing around (once again) with the Canadian Census Analyser maintained by CHASS at U Toronto (access through UBC Library). All my analyses were run on-line: they’re basically just custom cross-tabs from the NHS (our replacement for the long-form census in 2011), sorting by characteristics of household heads and weighted according to sample weights. Metro Vancouver is about as low as I can get as a geographic level for microdata without getting special permissions (and tiny sample sizes). Hey, what do you know? The vast majority of households living in million-dollar homes in 2011 had been living in their places since at least 2006. A good proportion of these householders were older – likely retired – but not actually the majority. Most were still clearly working age. The next biggest group of households are those who moved into their current place from elsewhere in the metropolitan area of Vancouver. Very, very few moved into a million-dollar mansion from someplace in Canada outside of Metro Vancouver. Seriously: who could afford to do so? Most other cities in Canada are far cheaper than Vancouver. So a lot of what we see in terms of people moving into million-dollar mansions around Metro Vancouver are locals trading homes with one another. What about migrants? People who moved to Metro Vancouver from outside Canada are definitely there, but overall in 2011 they represented a relatively small proportion of million-dollar mansion owners. Even in terms of new buyers, they represent less than a quarter of million-dollar mansion owners who moved in between 2006 and 2011. That’s big enough to have a substantial effect on the market! But by no means did most purchasers of million-dollar properties in Metro Vancouver come from away. Most buying in the years prior to 2011 were already locals. No surprise: the modal million dollar home owner was born in Canada in 2011 (shaded red above), with another big chunk born in the UK (orange). I put Americans (like me!) in pink, just for fun. The other large group of million-dollar home owners I highlighted come from Eastern Asia (in shades of blue above). Why are so many million-dollar homes in Vancouver owned by immigrants? Some of this, no doubt, has to do with the “skill” and wealth-based selection processes of the Canadian immigration system. But another important part of the story – especially for those in blue – probably involves the enormous real estate fortunes being made all around the big cities of the Pacific Rim (where most East Asian migrants are coming from). A lot of East Asian immigrants to Vancouver are probably housing lottery winners in their countries of origin, and Vancouver property looks relatively cheap from many places across the water! Wealthy East Asian buyers account for over half of those moving into million dollar homes directly from outside of Canada between 2006 and 2011. But are the majority of migrants moving to Vancouver from Eastern Asia (or elsewhere) moving into million dollar homes? Not so much. Here I break down the proportion of householders living in million dollar homes by place of birth and where they lived five years prior to the 2011 census. Most residents of Metro Vancouver (born immigrants and native-born) live in more modest dwellings, rather than million-dollar mansions. Of note: for those born in Canada and living in Canada five years prior to the 2011 Census, just under 10% lived in million-dollar mansions. Many immigrant groups, but by no means all, exceeded this figure. Those born in the USA, the UK, South and Western Africa, China, Hong Kong, and other parts of East Asia all fell in the 15%-20% range for the proportion of household heads living in million-dollar plus homes. Of course that means the vast majority of migrants, over 80% in most cases, were NOT living in million dollar mansions in 2011. What about people who moved to Canada from another country in the last five years? Interestingly, this includes a fair number of Canadians. Something to keep in mind when we talk about “foreign wealth!” At any rate, those who’ve recently lived overseas tend, overall, to be even less likely to live in a million dollar mansion than those who’ve lived in Vancouver for more than five years…with two notable exceptions: China and Pakistan. I don’t actually know what to make of Pakistan – except that it might just be a small sample-size issue. The same sample-size issue probably helps explain why Jamaicans look so wealthy – though it’s possible I’m just missing all the wealthy Jamaican neighbourhoods in Vancouver. For China, it does appear that recent migrants are more likely to live in million-dollar mansions than earlier (pre-2006) migrants. This accords with broader perceptions that Chinese migrants to Vancouver are increasingly selected for wealth. That said, the vast majority of new immigrants from China (over 80%) still weren’t living in million-dollar mansions in 2011. Now that we’ve got some general idea of the distribution of housing wealth in Metro Vancouver (from five years ago anyway), I’ll try and return to an enduring mystery in my next post: what’s up with low-income households owning million-dollar mansions? Of course, “lottery winnings” from housing wealth are only really available for people to tap into if they a) sell their housing and move somewhere cheaper, or b) avail themselves of complicated financial instruments akin to mortgages. But this sets up a really interesting dynamic, especially with respect to immigration. People can move from a “lottery winning” locale to a much less dynamic real estate market and pocket a lot of change along the way, arriving as a wealthy immigrant. In places with less developed mortgage systems, this pattern can be further complicated, as sellers will have accumulated few loans against their housing before selling (setting aside, for the moment, those who don’t own property). What does this imply for immigration around the Pacific Rim? Much of immigration takes place to and from the big “gateway cities” of the Pacific Rim. These gateway cities tend be very expensive markets locally because the flow of international migrants drives much of real estate dynamics. Partially as a result, local prices can drift upward from what might be expected by local incomes. But gateway cities are also quite diverse in terms of the success of their local growth machines. As a result, some “lottery winners” are far wealthier than others. By selling their home in an expensive growth machine and moving to a cheap one, migrants can cash in their lottery winnings. Where should we expect this to be a feature of immigration streams in the Pacific Rim? I’ve highlighted Vancouver in blue as a big gateway into Canada. Of note: when it comes to the Pacific Rim, anyone selling their home to the left of Vancouver before migrating to same could arrive with a great deal of wealth, especially if they’re moving from a city centre! Vancouver looks cheap to arrivals from Hong Kong, Singapore, Beijing, Shanghai, Tokyo, Shenzhen, San Francisco, Seoul, Sydney, and even (to some extent) Taipei. “Sell your place, move to Vancouver, and get rich!” could also work at least moderately well for arrivals from London and New York City. On the whole, this provides some important evidence to contextualize patterns of immigration into Vancouver. Positioned as a gateway into Canada from the Pacific Rim, we should expect a lot of East Asian immigrants to arrive quite wealthy just from selling off their homes in their city of origin! That’s setting aside a host of related issues (e.g., Canada’s selective immigration policies – including its relatively terrible investment class program, China’s selective emigration policies, intergenerational concentration of wealth in single children) that favor wealthy immigrants, as well as others (e.g., China’s capital controls and less developed mortgage system) that complicate the story. Recent (and generally good, I think!) reporting in Vancouver has emphasized the crooks among Vancouver’s wealthy immigrants – and by all means, go get them! But this has a tendency to obscure how you don’t have to be crooked to arrive in Vancouver with money to spend. You just have to be lucky. And there are lots of real estate “lottery winners” scattered around the Pacific Rim, including many homegrown right here in the Lower Mainland. Lots more to think about, but I’d love to hear more about a) the Numbeo data! and b) how this maps onto people’s thoughts about Vancouver’s role as gateway to the bustling growth machines of the Pacific Rim. *- This dynamic is viewed as providing home owners a material interest in siding with growth machines. Of note, Molotch’s analysis is pretty solid with respect to North American cities at their founding and through most of the Twentieth Century, and it still mostly holds for central cities. But anti-growth coalitions began to arise and drive metropolitan politics pretty quickly, most dramatically in the suburbs, where NIMBYism and exclusionary policies are pretty much the norm. Lots to say about that, including both that “material interest” can be interpreted quite flexibly and it’s not the the only thing driving NIMBYs, but I’ll set it aside for the moment. How do Growth Machine stories explain other places? Growth Machine analyses are often received critically in Europe, where they don’t seem to work as well, but have been largely embraced – at least in modified form – across much of Eastern Asia. In China in particular, the political economics of urban growth have received a great deal of attention, in particular the collusion between local politicians and local developers (paywalled examples here and here, or see books like Li Zhang’s excellent In Search of Paradise: Middle-Class Living in a Chinese Metropolis for a view from the ground). But less attention has been paid to the more or less passive “lottery winners” of Eastern Asia’s rapid urban growth. In the context of China, of course, urban growth was joined to the privatization of housing, producing many double-winners (as well as many new losers, especially rural migrants to cities). See Forrest & Izuhara (sadly pay-walled) for a really nice view of how intergenerational housing wealth accrues – or fails to do so – in Shanghai. It’s one of my regular teaching tools!